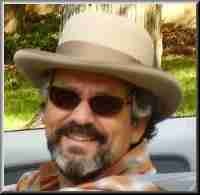 Harvey creates one of a kind objects of beauty and ceremonial utility. 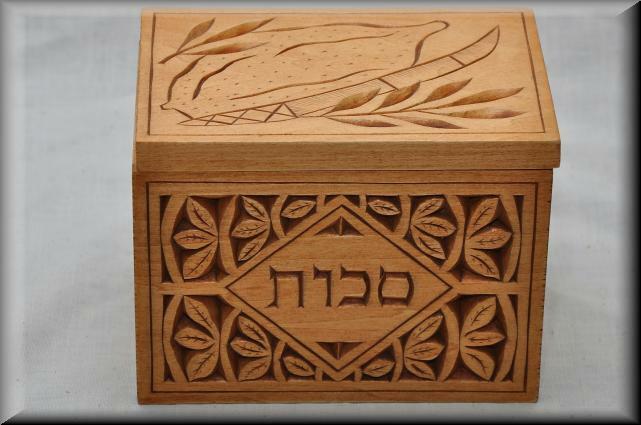 They are works of art that can be admired, handed down as keepsakes, and used to tell the stories of the Jewish people. 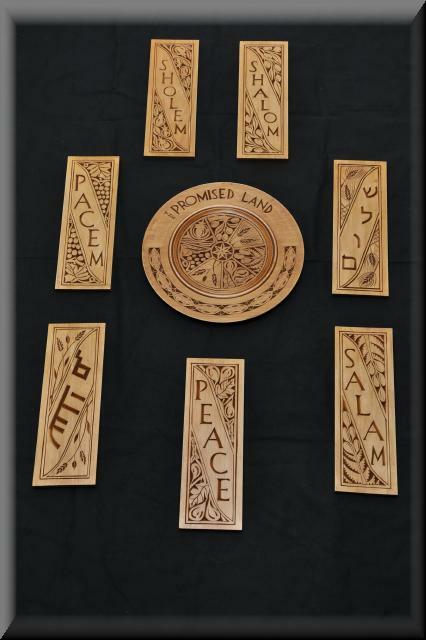 Each piece is a unique hand carved original that is signed and dated by the artist. There is room for personalization on all pieces. 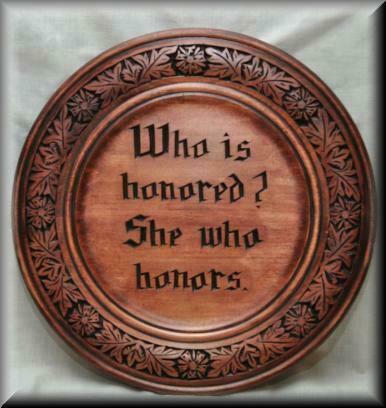 This makes every piece not only unique, but also provides an opportunity to commemorate a special event, occasion or Holiday. Names, initials, dates and sayings in any language are a few of the personalizations that can be incorporated into a piece. 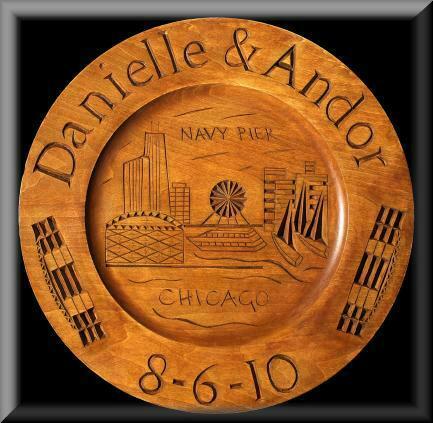 Choice of carvable woods and finishing can also be personalized making these carvings an excellent option as a wedding, anniversary, bar/bat mitzvah and baby gifts. 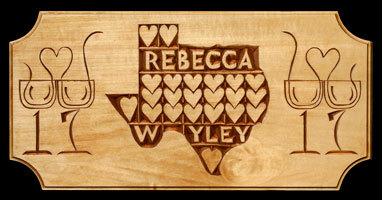 These are a few examples of personalized items. They can be executed either from a customers design, or from Harvey's library. Woods and finishes can also be modified, provided respect for the materials is maintained. Copyright © 2011 by The Wood Art Studio of Southern Connecticut.